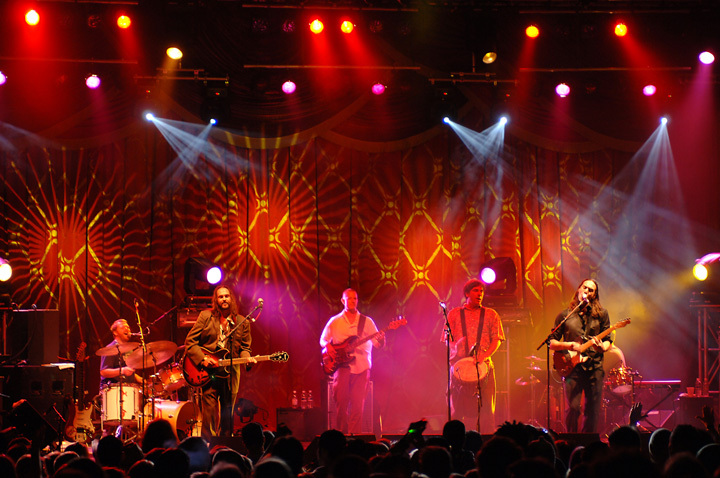 Festivals Inc. has been a regional leader in the event industry for over 37 years. The company has created, consulted and produced events around the country since its inception in 1982, experiencing incredible growth since that time. It all began when our CFO, Alan Silverman, created and produced the Bite of Seattle® (still the company’s flagship event). 25,000 people were expected to attend the first Bite held at Green Lake Park, in July 1982, however an estimated 75,000 people attended the two-day event, and sampled culinary creations from 25 restaurants. The Bite now attracts over 375,000 people in three days and hosts over 60 restaurants, plus entertainment stages, live cooking demonstrations featuring local chefs, Bite movie night, MUNCHIES @ The Mural, and many other attractions. 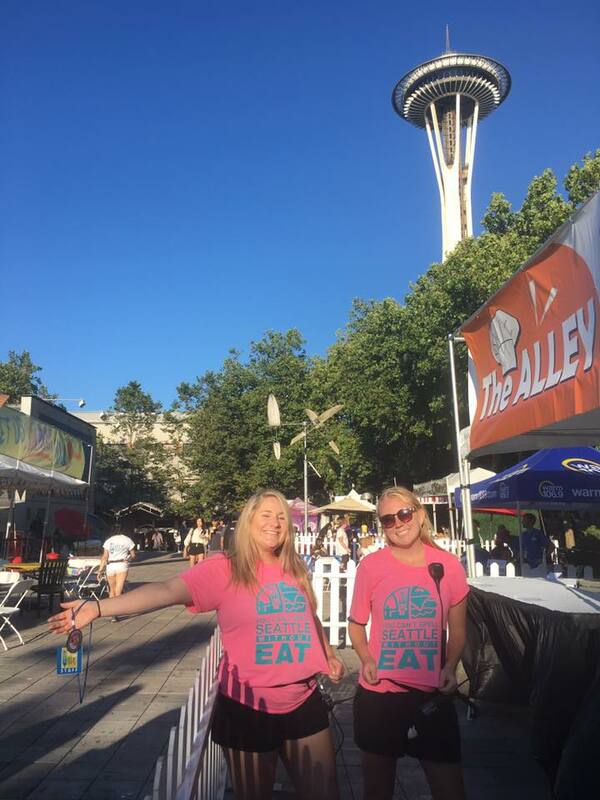 What started with the Bite of Seattle® has branched out to over 30 events that the staff of Festivals Inc. has created, consulted and managed. With a full-time staff of six and a network of experienced contractors that spans the region, Festivals Inc. has had a hand in many of the major events in the Seattle area (see full list here) and has played a valuable role in shaping Washington State’s festival and event landscape. In 2008, we began to bring our combined expertise to other events with the launch of our new company, New Growth Event Solutions. If you need assistance on any event, from a private party to a city-wide festival, call on us for everything from operational support to sponsorship to promotion. WHO IS ALAN ‘BIG AL’ SILVERMAN? Alan Silverman, a native of New York City has a background including over 50 years in the restaurant and hospitality industry. With the Bite of Seattle® thriving, Alan then realized the business opportunities within the fast-growing coffee and tea industry, and created and produced Coffee Fest, the largest and first Coffee and Tea trade show in the U.S.A. In 1992, Coffee Seattle was born with the vision, drive and passion for the industry that built the foundation for what is still today, the leading trade show for coffee and tea. Alan was instrumental in forming ASSET (A Seattle/King County Special Events Team), with the goal to support and communicate the value of sports and special events to the City of Seattle, the media, and broader community. On Thursday, April 4, 2019, Alan Silverman, was inducted into the Washington Festival and Events Association Hall of Fame for his contribution to the festivals and special events industry. Festivals Inc. is committed to creating and producing top notch community events that celebrate regional food and entertainment while also supporting local charities through partnerships and creative collaboration. Full list of events: past, present & future HERE. The Bite of Seattle® is the flagship event of Festivals Inc. and a local tradition for many each year. 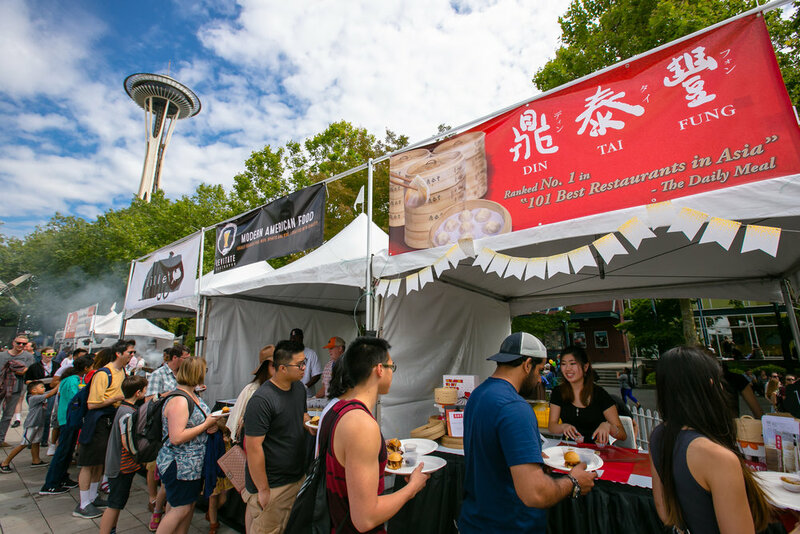 Created in 1982 by Festivals Inc. CFO and local restaurateur, Alan Silverman, The Bite of Seattle® now attracts over 375,000 people in 3 days! The Bite, held at Seattle Center, hosts over 60 restaurants/specialty food product companies, over 80 live bands, The Bite Cooks! stage showcasing chef demonstrations and cook-offs, The Alley benefiting Food Lifeline, local Craft Beer & Cider Tasting, free Bite Movie Night and much more. The Taste of Tacoma® was started in 1986 by Festivals Inc. CFO and local restaurateur, Alan Silverman, after the Tacoma Restaurant Association requested he create an event for the Tacoma community just as he had done with the Bite of Seattle®, which he launched successfully in 1982. The principals in which he created the event over 30 years ago still holds true today; promote the local food, beverage, and restaurant industry while offering the public a chance to taste a wide variety of foods at affordable prices - all of this in a magnificent setting like beautiful Point Defiance Park. Oktoberfest Northwest debuted in 2004 and hosts "Washington's Largest Munich-Style Festhalle & Biergarten." The 3-day festival features entertainment for the whole family: non-stop traditional and contemporary German music in two Festhalles, the Official Hammershlagen® Tournament of Champions and other German festival games, authentic German cuisine and beers, a Sports Haus to catch the big games, and kids' activities including a Root Beer Garden, face painting, pumpkin decorating and more! Also enjoy Wiener Dog Races and the Stein Dash 5K on Sunday! Interested in finding out more about event partnerships, sponsorship or consultations for an upcoming event? Fill out the form below & we'll get back to you as soon as possible. Thanks! With over 30 years of experience, Festivals Inc. has become one of the leading event production companies in the Pacific Northwest. Best known for their production of the Bite of Seattle®, Taste of Tacoma® and Oktoberfest Northwest, Festivals Inc. has produced and managed over 100 successful events which have entertained over 20 million people in the Northwest alone. Our non-stop attention to detail and often-praised customer service sets us apart from others in the business. We are a small company with a large vision, building on years of experience to continue to create, produce and manage top-of-the-line events. We are a company of six specializing in sponsorship, event operations, vendor relations, event management and marketing/media. APPLICATIONS FOR THE 2019 INTERNSHIP PROGRAM HAVE CLOSED!! Each year, Festivals Inc. visits the Washington State University (WSU) Pullman Campus to interview current WSU students for the summer Festivals Inc. Internship Program. 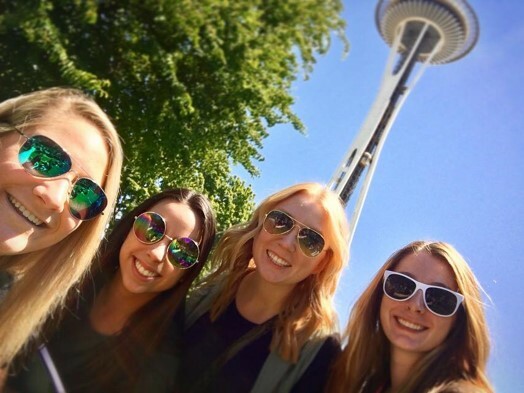 The full-time internship program is open to all current WSU students studying any major, and in some cases, open to students studying relevant industry specific courses at other colleges in the Seattle area. The internship offers hands-on experience in the Festivals Inc. office, and onsite at Bite of Seattle® & Taste of Tacoma®. Interns work closely with Seattle area chefs & restaurants, vendors, employees and volunteers in office and onsite at the Bite of Seattle® and Taste of Tacoma®. ALL internship positions are compensated, performance-based, with a stipend awarded at the end of internship ($1,800-$2,500). Past interns of the Festivals Inc. Internship Program have used their extensive hands-on experience during their internship to secure work in the fields of PR, event management, human resources, marketing/media, and operations management. — Shelby De Lappe, 2017 Intern & Operations Manager, Festivals Inc. Candidates should have a strong interest in event planning, hospitality, event operations and possess outstanding written and verbal communication skills. Individual must be a self-starter, extremely organized, proactive and able to work well under pressure. Must be proficient in Word, Excel and Outlook. Work experience in food and beverage or other high-pressure environments is a plus. Candidates should have a strong interest in event management and operations, and have strong communication, organizational, and team working skills, an ability to make good decisions under pressure, and a good familiarity with office word processing, spread sheet, and publishing programs. Work experience in food and beverage or other high-pressure environments is a plus. 2018 FESTIVALS INC. SUMMER INTERNS - GO COUGS!! !